Lightning is an Aragon grandson, and has Bolivian Black Magic, and El Rey Nero de Bolivia M0087 in his lineage. 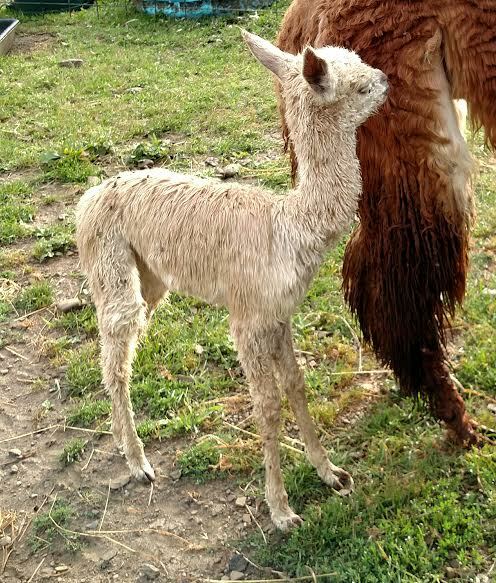 Venus was a "surprise" cria. 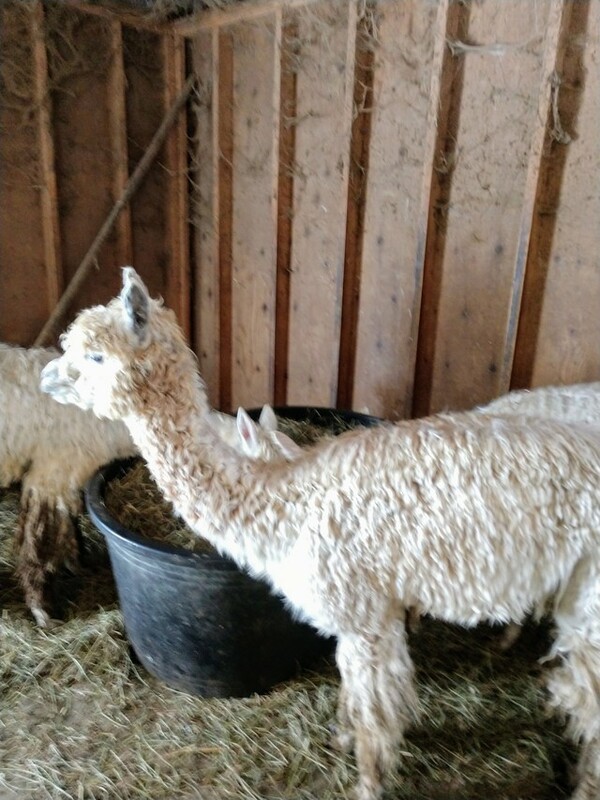 Her mom was bred during a break-in in August of 2015. I had exposed her previously to one of my other males, and I had thought she had conceived from that exposure. However, as time passed, it became evident that she had not conceived on one of the events I had recorded. Her delivery date seems to indicate that conception occurred during the break-in that I had recorded. 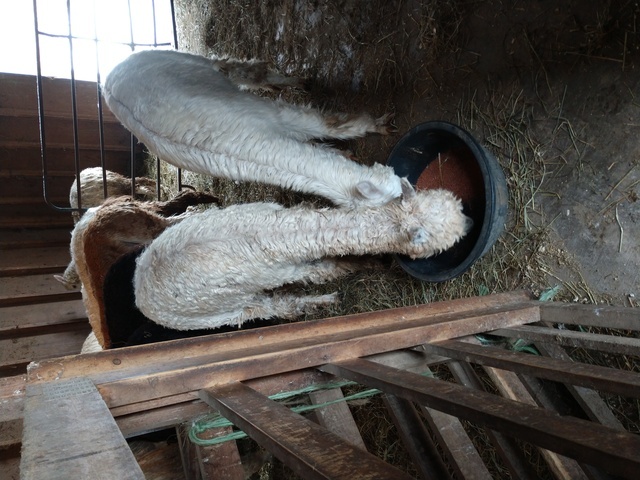 Unfortunately (or maybe fortunately, given the result), the breaker-in was her mother's half-brother. 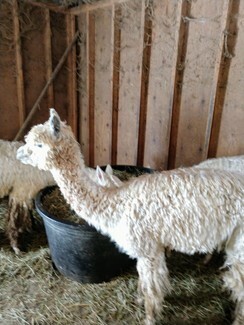 In any event, she is an awesome little girl with presence, conformation and exquisite fleece. Her luster is amazing, very much like her mom. I look forward to seeing how she develops.